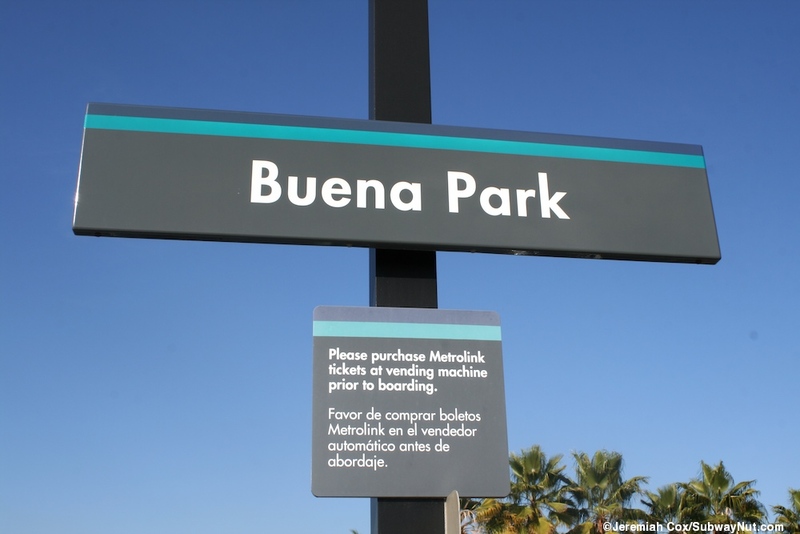 Buena Park's Station finally opened as an infill station on Tuesday, September 4, 2007 and was dedicated in a full grand opening ceremony on Saturday, October 6, 2007 (Metrolink Matters, September 2007 Link) as a plaque commemorates. 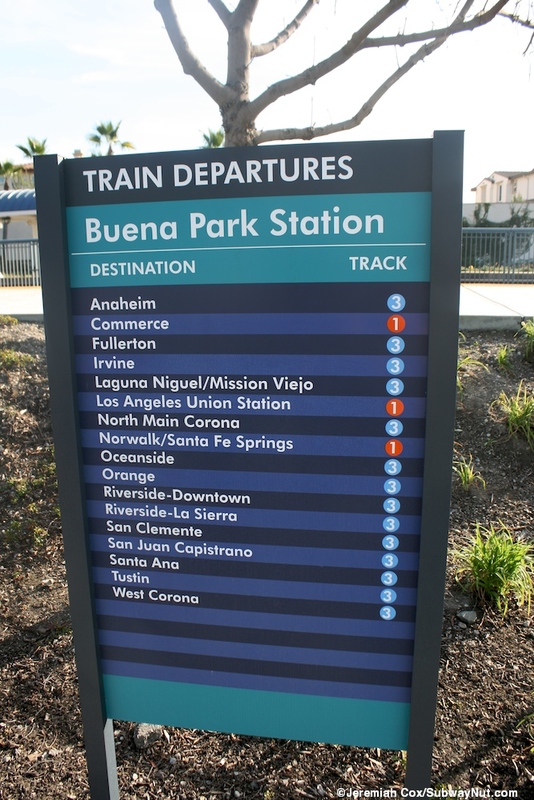 The station was dedicated before it opened to Arthur C. Brown in December 2006, Chairman of OCTA and Metrolink plus the Mayor of Buena Park, found on another plaque. The stop is listed as a future station on a Metrolink Map from 1998. 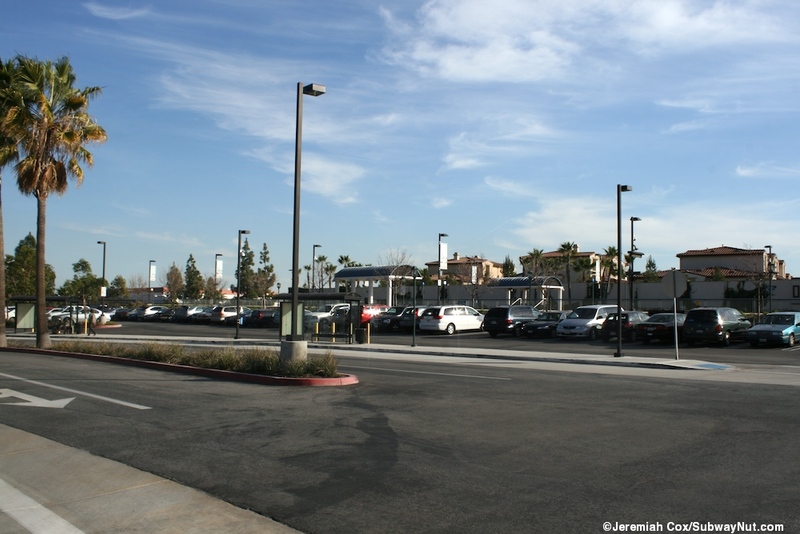 The station is surrounded by residential transit oriented development. 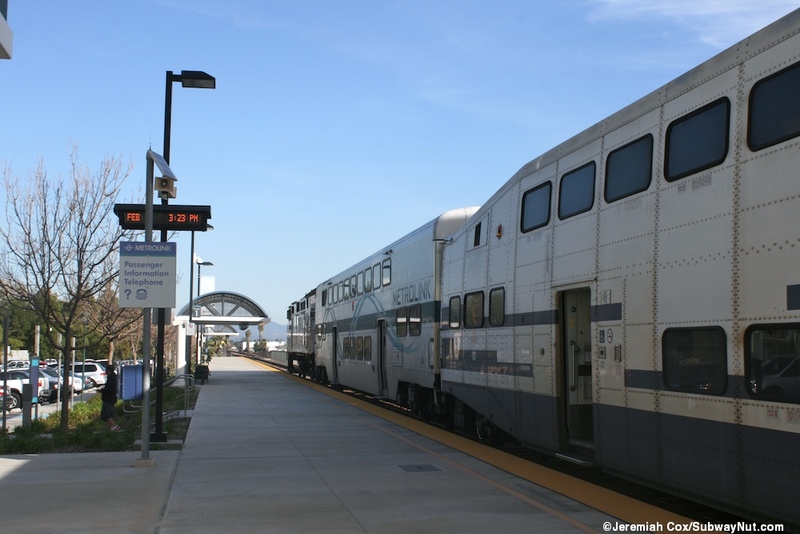 Today all Metrolink trains stop at the station, with ten weekday trains on the Orange County Line, and 5 on the 91 Line. 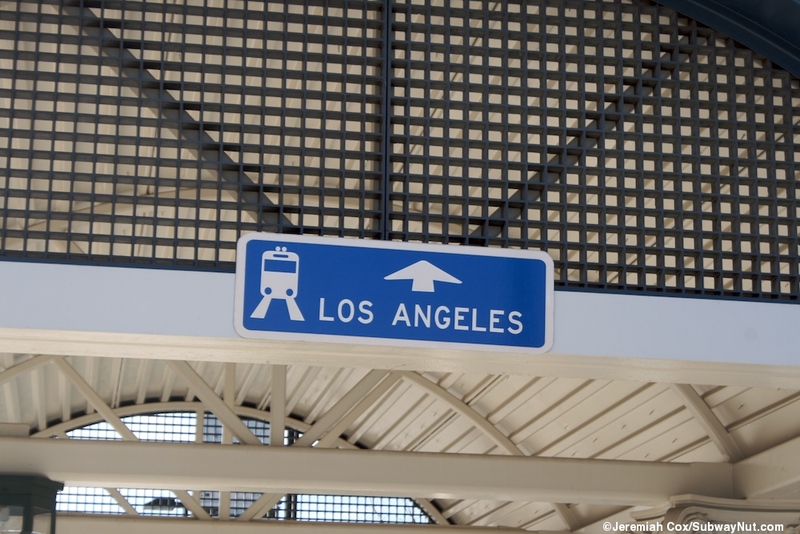 All Amtrak trains, the 12 daily Surfliners and Southwest Chief, bypass the station. 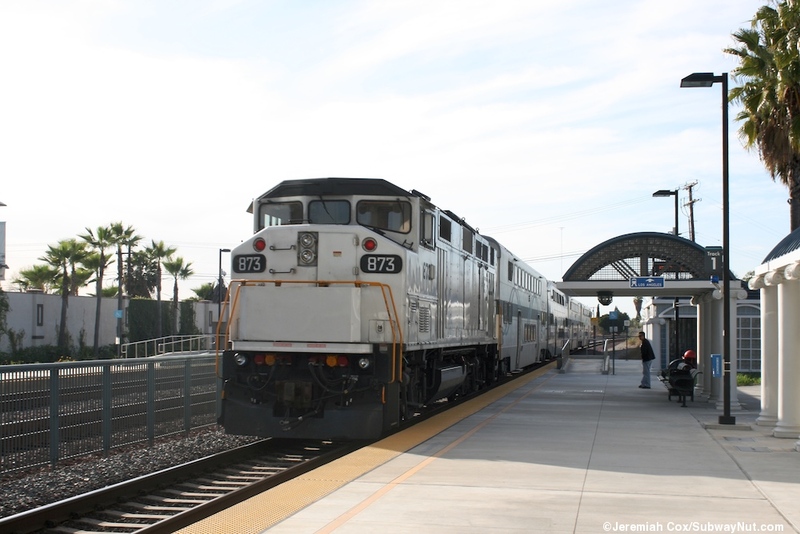 Weekend service is just two round-trips per Saturday or Sunday. 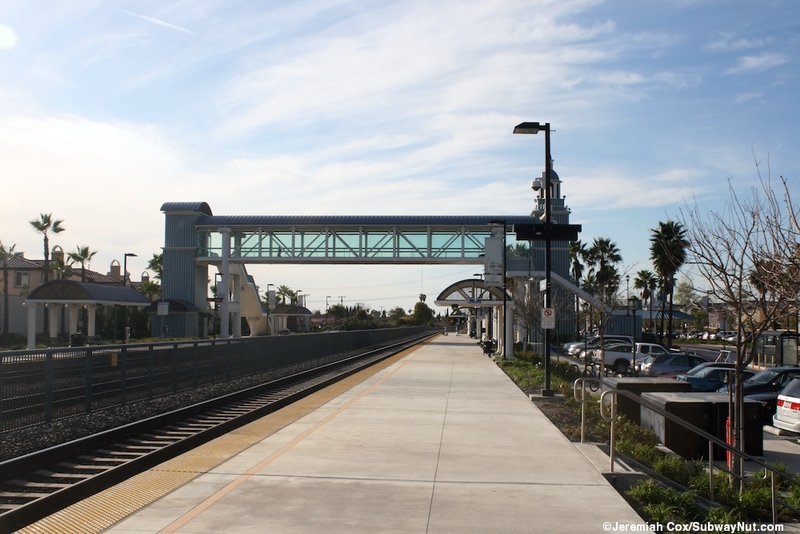 The station is the most northern stop where the OCTA $7 Orange County Day Pass can be used as trains enter Los Angeles County just north of the station. 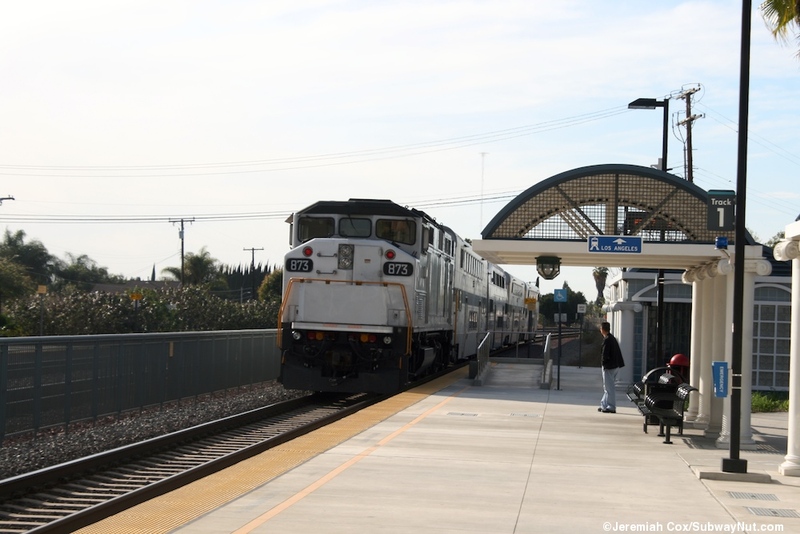 The station has two side platforms on the busy 3 track main line shared with BNSF transcontinental intermodal trains that frequently pass through the station on the middle track. 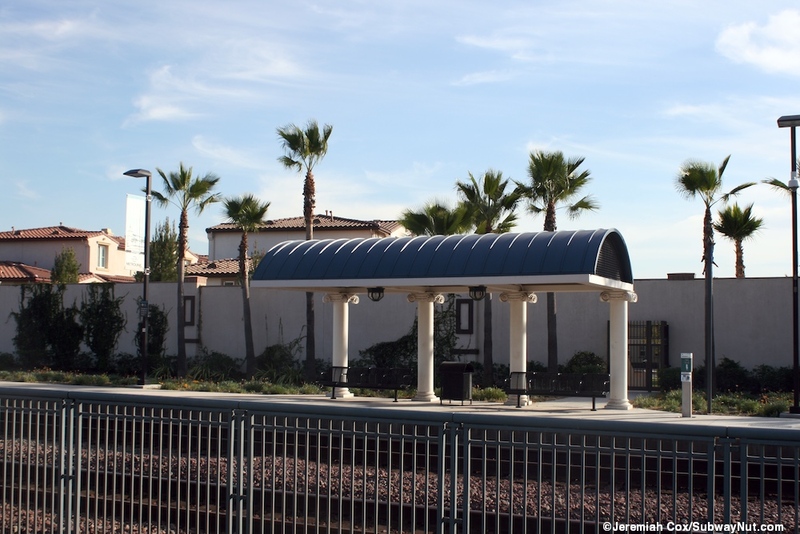 The two side platforms have a fence between two of the three tracks to prevent unauthorized trespassing and each has three blue roofed shelters with two benches beneath. 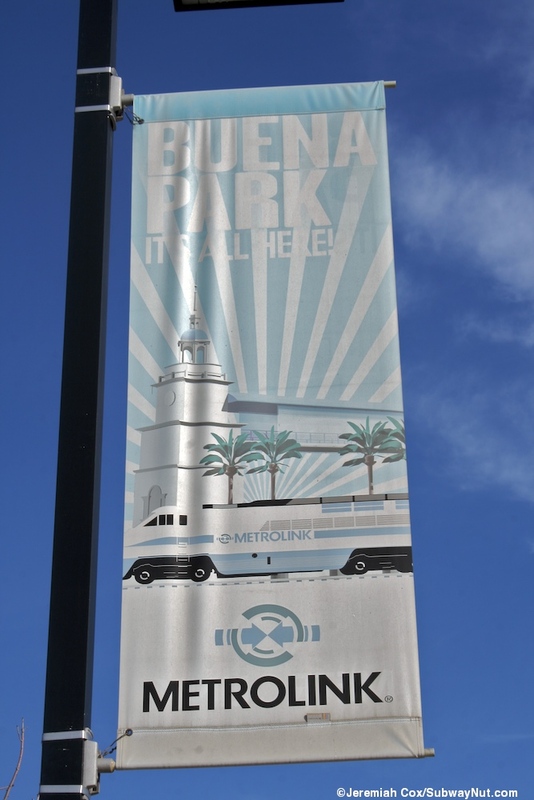 These are held up by white iconic columns. There is a central pedestrian overpass which connects the platforms, this overpass is enclosed by glass walls at at either end there is a staircase and elevator down to each platform. 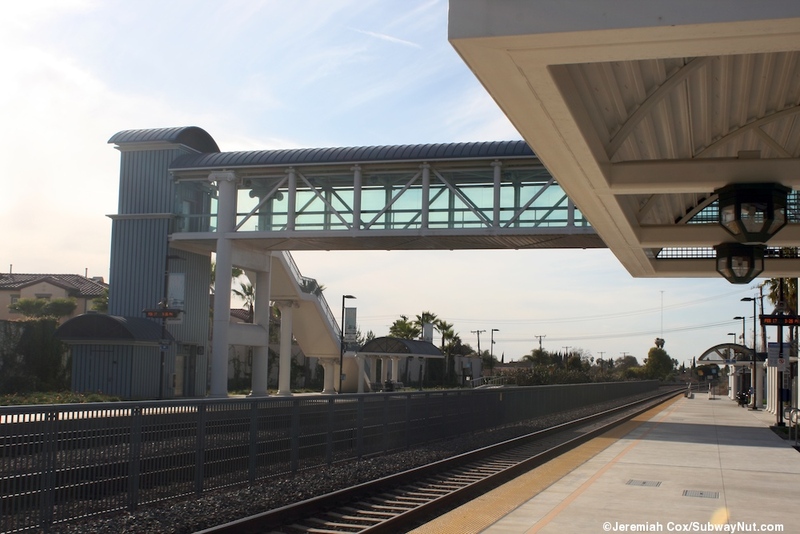 The Riverside/Oceanside-bound platform's elevator shaft is bounded by simple blue sheeting and the platform has some grassy landscaping before a sound wall just beyond it separating it from a Transit-Oriented Development. This development has an unsigned exclusive, locked and gated entrance up some steps to the platform. 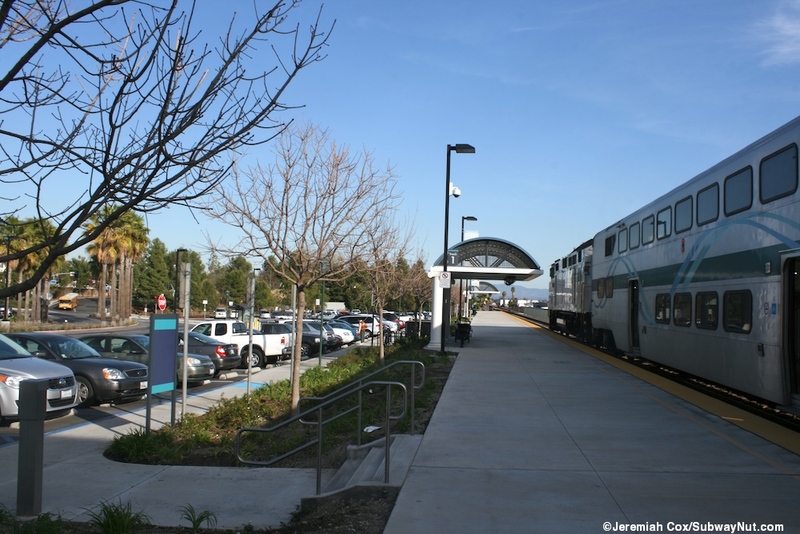 The Los Angeles-bound platform is where the public station entrance is. 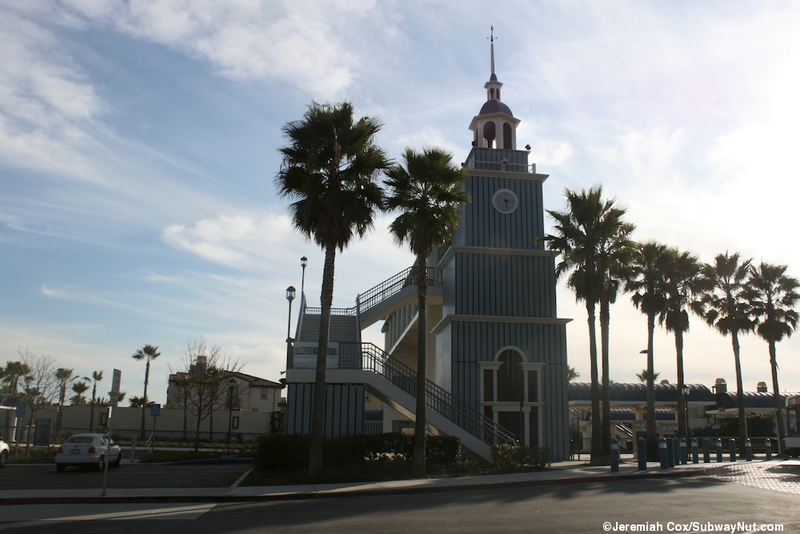 The top of its elevator shaft is decked out with a clock and and steeple complete with a weathervane on top. 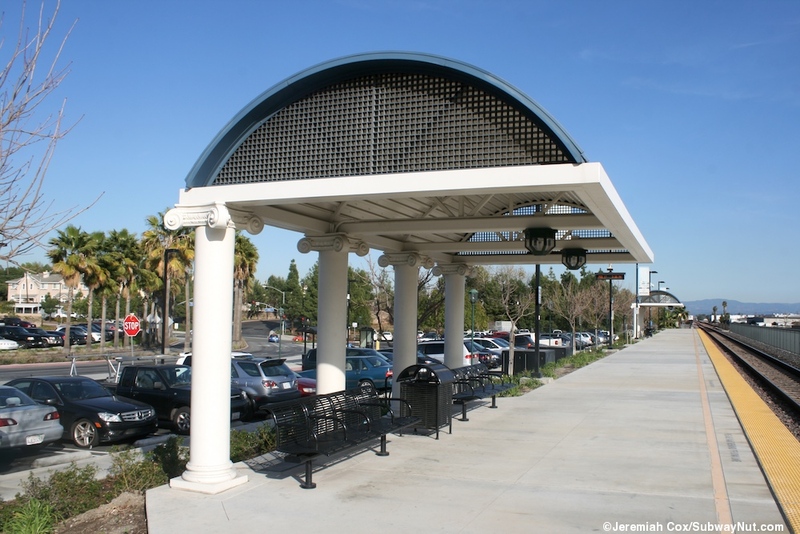 The overpass leads down to a central car/bus loop and drop-off area with a blue gazebo with benches for passengers waiting for their rides in the middle of it. 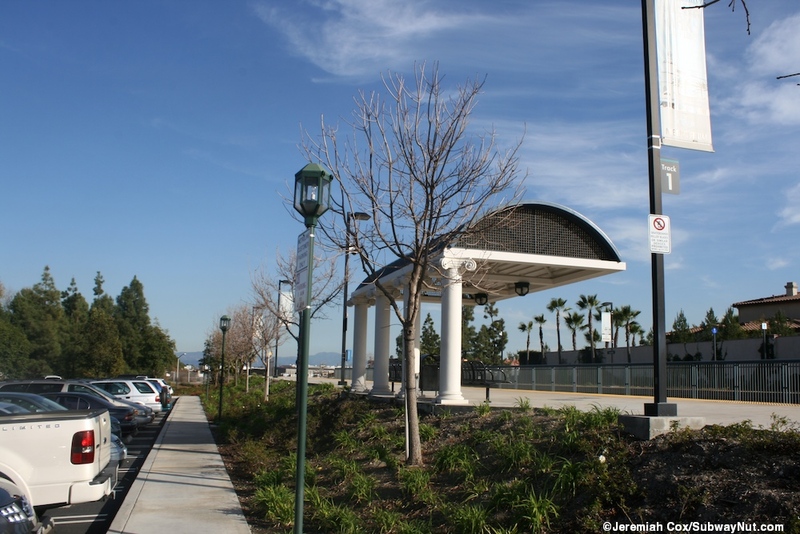 Bus stops serving 3 connecting OCTA bus routes are located here, including buses that serve the Fullerton Park & Ride that provides overflow parking 1 ½ miles away. 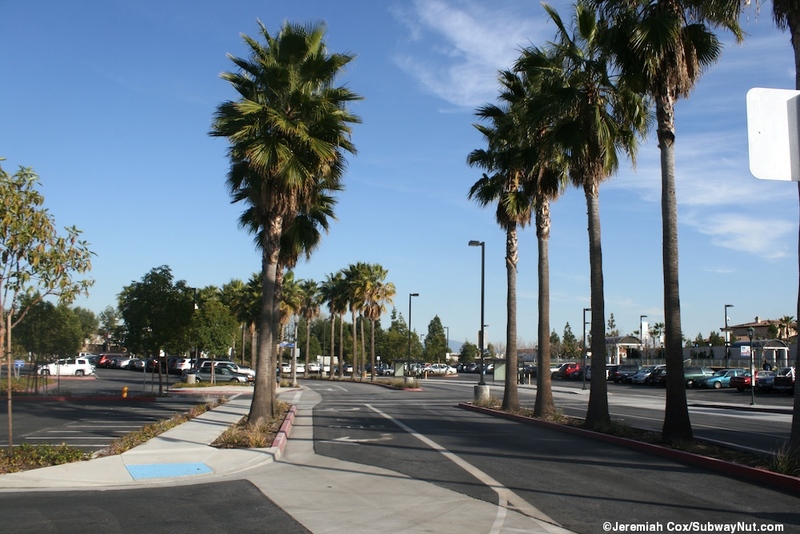 (Not to be confused with parking at the Fullerton Train Station farther away). 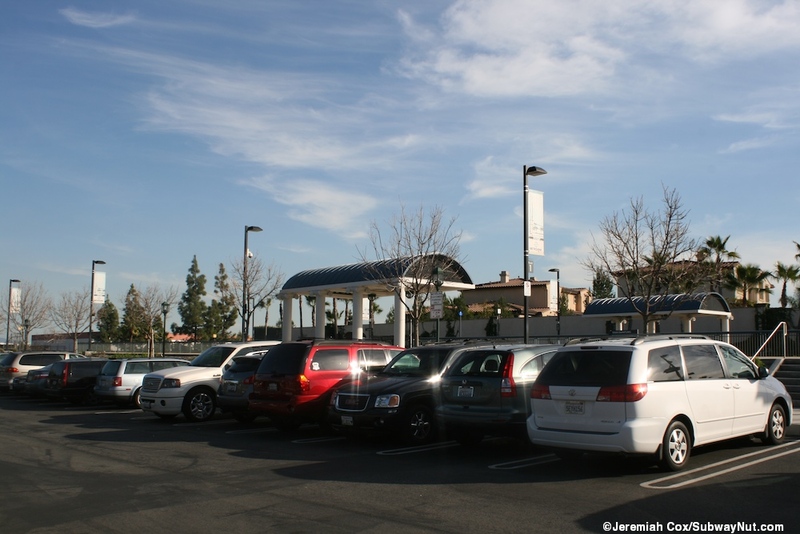 The station in its residential neighborhood has 300 parking spaces along this north platform, with a main access road down Lakeknoll Drive to Dale Street that crosses beneath the tracks just east of the station. 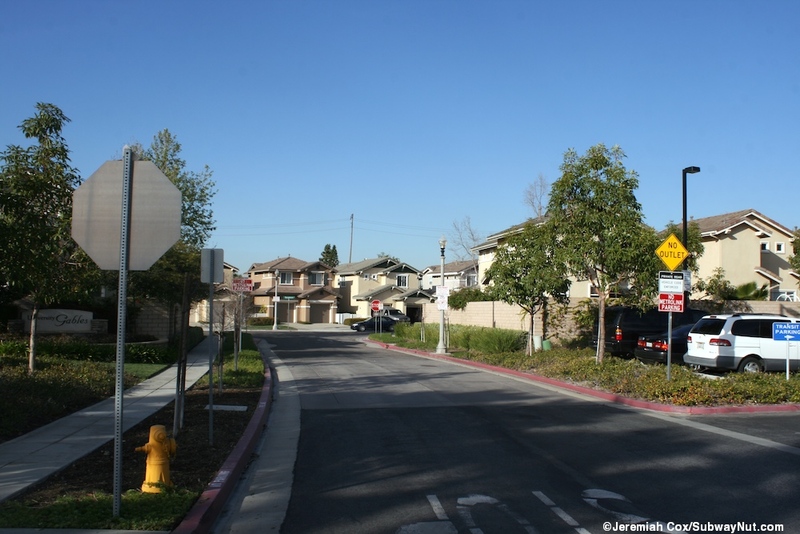 There is another small transit oriented development community just north of the station's parking lots, only accessed by passing the station. 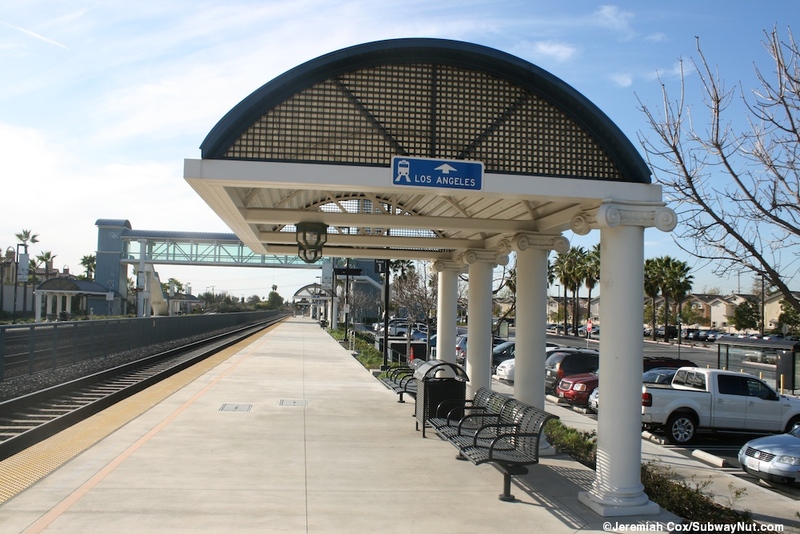 At the front, northern end of this LA.-bound platform is a blue tiled (with the usual white columns) restroom structure.